The Sixth Extinction author Elizabeth Kolbert talks to her book editor, Gillian Blake. From left, Sixth Extinction editor Gillian Blake and author Elizabeth Kolbert. Photo illustration by Slate. Photos courtesy of Henry Holt, courtesy of Barry Goldstein. Gillian Blake edited Elizabeth Kolbert’s seminal book on climate change, Field Notes From a Catastrophe, which was released in 2006. They worked together again on Kolbert’s new book, The Sixth Extinction: An Unnatural History, out this month from Henry Holt. 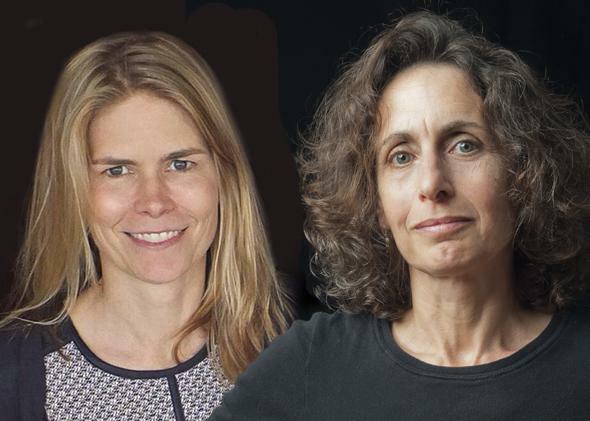 In this author-editor conversation, the New Yorker reporter and her book editor discuss finding the narrative arc of a nonfiction book and the “lost book about lost things” that started Kolbert’s book-writing career. Gillian Blake: The Sixth Extinction is not our first book together. We first started working together about 10 years ago, when you told me you wanted to expand your New Yorker pieces on global warming into a book. I remember cautioning, “Books about the environment don’t sell, unless you’re Al Gore.” After those words of wisdom, I signed up Field Notes From a Catastrophe, we scheduled it, and of course, we ended up publishing at pretty much the same time as An Inconvenient Truth! The amazing thing was that both books—not just Gore’s—sold very well. Elizabeth Kolbert: Right around the same time, another book on climate change also came out—The Weather Makers by the Australian writer/paleontologist Tim Flannery. I don’t think that’s a coincidence. I think we were all responding to the same rather astonishing phenomenon, which was that out in the world you were starting to see clear evidence of climate change, very much in keeping with what the climate models had predicted. And yet in the political realm we were still having this inane debate about whether climate change was real or not. I think a lot of readers realized that something very significant and very weird was going on, and they were looking for a way to make sense of it. Blake: The process around The Sixth Extinction was a little different. When you sent us the proposal, the concept for the book seemed pretty clear, and you had all the chapters tentatively mapped out. But when you started writing, the structure became something of a moving target. We had a bunch of phone calls and meetings in the first year or so of the writing process; in one, you admitted to me, “More pages than you want to know” had ended up in the trash. Kolbert: I was trying to figure out the vantage point to write it from. I’m not a scientist, so I couldn’t write from the perspective of an expert. But nor could I write from the perspective of a naïf, who just sort of wandered into what’s arguably the biggest story of our time. So I had a hard time coming up with a way to get the book going and to explain—implicitly, of course—why I, as a journalist, was writing it. It was as if I’d planned out a 10-city tour through Europe, but couldn’t find my way to the airport. Blake: The book has two through lines: One is an intellectual history of the concept of extinction; the other is a firsthand account of the extinction event we are now living through. How hard was it interweaving these two stories? Kolbert: The double through line was definitely part of the challenge of writing the first chapter, because, as you and I often discussed, that chapter had to set both story lines in motion, which is a lot to ask of six or seven thousand words. But once things got going, I found the two through lines very helpful. The history of extinction as a concept is quite fascinating, so there was a lot of great material to use, and some wonderful characters—the brilliant and corpulent Georges Cuvier; the myopic Charles Lyell; the young, often seasick Charles Darwin. Blake: Why did you choose to braid that story together with the current extinction event in the same book? Kolbert: I wanted the story of the current extinction to sort of sneak up on people. I know this sounds odd, given the title, which, of course, we also debated. Blake: Ah, titles—always impossible. When I acquired this book, the tentative title was The Sixth Extinction. We played around with countless others before going back to that. It is telling, though, that we considered using the word “catastrophe” in the title for this book as well. You and I were recently talking about whether the book is depressing. Obviously it is alarming. But I said I didn’t think it was depressing, and then you told me about a reader who said that she felt oddly liberated after reading it. Kolbert: I think people get little snippets of information all the time—the world is warming, coral reefs are dying, elephants are being slaughtered, and on and on. These bits of news are depressing. When you put it all together, though, it’s a bit like solving a puzzle. Things start to make sense, and there’s the satisfaction that comes from understanding the world in a new way. At least that’s what I’d like to believe. Also, I think people are very caught up in the here and now—the assignment that’s got to get finished, the kids who need to be picked up, the friend whose marriage is falling apart. I’ve tried to offer a longer perspective—a starting-with-the-Ordovician perspective—and I think there’s something curiously comforting about that. One of my favorite books is Edward Abbey’s Desert Solitaire, and one of my favorite passages describes how civilizations rise and fall and “the earth remains, slightly modified. The earth remains, and the heartbreaking beauty where there are no hearts to break.” I think about that passage often; there’s a perverse solace in it. Blake: You went to some pretty remote areas of this earth and had a few wild adventures while reporting this book. You seemed very brave! Kolbert: I want to assure you that I am not at all brave, and during my reporting trips I never really felt in danger—and I don’t think I was in any danger—except for once. That was the time I went out on the Great Barrier Reef in the middle of the night with a postdoc who didn’t know how to use the GPS unit. When we found ourselves chest-deep in water with the tide coming in, I really did wonder if we’d make it back. But we did, and now when I recall that trip, I wish I were back out on the Great Barrier Reef in the middle of the night, with the turtles and the octopuses and the great, glittering sky. Blake: That postdoc is just one of many people you write about who are going to incredible lengths in attempts to, in effect, undo the harm we have done. Throughout this book we see scientists who have devoted their entire careers to monitoring a patch of reef or a fragment of forest, or to saving one species or another. Does one of them stand out to you as particularly extraordinary? Kolbert: The book ends with a visit to one of the last Hawaiian crows, who’s named Kinohi. Kinohi lives in the veterinary hospital of the San Diego Zoo. Every spring, when it’s mating season back in his native Hawaii, a reproductive physiologist named Barbara Durrant takes Kinohi on her lap and, several times a week, strokes him in what a male crow is supposed to find a sexually very exciting fashion. Durrant is hoping to collect sperm from Kinohi that can be used to artificially inseminate a female Hawaiian crow at a breeding facility in Maui. When I first heard about this project, it struck me as incredible. When Durrant took me to see Kinohi, I was even more amazed. He’s a very charismatic, if sexually confused, bird. Crows can imitate human speech, and Kinohi says, in a demented-sounding squawk, “I know.” He almost seems to be offering a commentary on his own tragic situation. Blake: I’m thinking about the very first book of yours that I signed up—which was a book you never actually wrote. Kolbert: My lost book about lost things! That non-book came about in a very serendipitous way, which I imagine is how a lot of books come about. Blake: It was supposed to be about the Amber Room, which was lost in World War II. Kolbert: One summer, when I was just out of college, I worked in Bonn as a stringer for Newsweek. There was a German student who was also working there, and we became friends. He later went to work for Der Spiegel, and when he was in New York for some reason around 2002, we got together. He told me about this room that was covered in elaborately carved amber tiles, which had been given as a gift from the Prussian king to the Russian czar back in the early 18th century. The room was installed in a palace outside St. Petersburg, where it remained until the Nazis invaded the city in 1941. The Nazis disassembled the room, took it to East Prussia, and displayed it there during the war. Then, as the Soviets were about to invade East Prussia, the Nazis disassembled the room again and carefully packed it in crates. It was never seen again. Since the end of the war, people have looked for it everywhere—in caves and mines and bunkers and shipwrecks. My friend once got a tip from his housekeeper’s boyfriend that it was in some ravine in Russia, and Der Spiegel sent him there to look for it! I thought this story had pretty much every element a journalist could hope for—beauty, war, deception, loss. Pretty soon afterwards, I set out for St. Petersburg to write the story for The New Yorker. You must have also thought it was a great tale, because as soon as the piece appeared, you called me and asked me if I wanted to turn it into a book. Blake: I feel like there are ties between that book, which never got finished, and this one, which sometimes seemed like it was never going to get finished but did. And this book is also about loss, albeit on a much grander scale. Kolbert: Yes, there are some interesting connections. The theme of loss is a big one. The good news, amidst all this talk of loss, is that many years later, you and I are still working together. The Sixth Extinction: An Unnatural History by Elizabeth Kolbert. Henry Holt.